The history of essential oils is inseparably entwined in the historical evolution of medicine, evidenced through references found in ancient medicinal texts, treatises, artwork, imagery and artefacts left by civilisations living over 5,000 years ago. Applied in the form of fumigants, incense, cleansers, antiseptics, antibiotics, bactericides and preservatives, as well as psychosomatic, hedonistic perfumes, not only worn to adorn but also to punctuate and accentuate rite and ritual, to protect and to symbolise intention, essential oils have accompanied us, like guardians and companions, on our ever-evolving journey through time and life, playing a vital role in our survival. Skills and knowledge of remedies, lifestyles and ancient systems of medicine have passed from one generation to another, many still relevant, referred to and practiced today, particularly in countries where the cost of modern medicine is prohibitively expensive; examples include Oriental, Ayurveda, Middle Eastern and Greek Tibb, Shamanic and local herbal medicine – the omniscient existence of a life force, Ch’I, Prana or élan vital, threading through the philosophy of all. 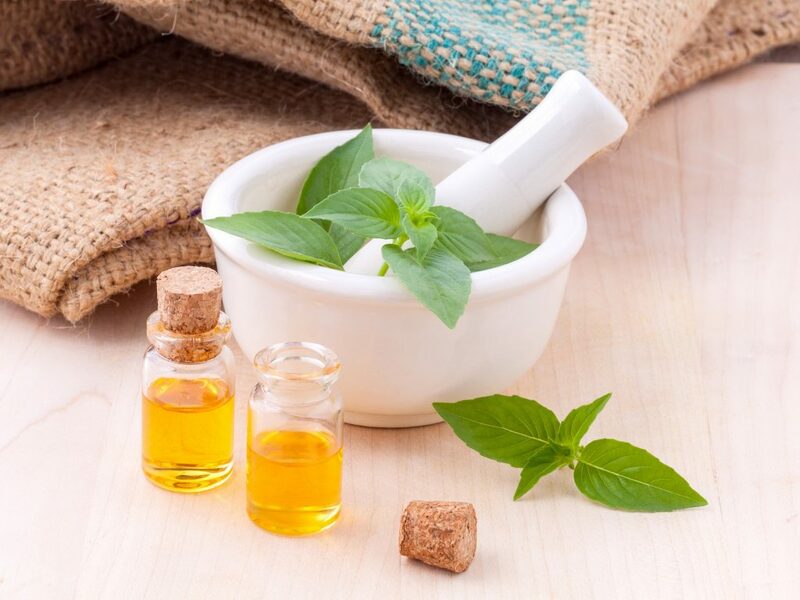 Many modern herbal and complementary medicinal practices have evolved and developed from synthesis of these historically tested ancient healing systems, philosophies and practices and current knowledge and understanding of science, botany, biology and modern medicine. We bring forward the constant notion of ‘mind-body-spirit’, of the gross and subtle dynamics of existence, a seamless interplay between the internal and external environment, notions that prevailed until challenged by modern science. During the 17th and 18th centuries, development of technology enabled focused scrutiny of microscopic entities. The body was increasingly viewed, detached from ‘spirit’, or ‘Being’, like a machine comprising separate parts; spirit could not be physiologically identified, therefore, was considered non-existent, or questionable, and mind and body were viewed as separate. Scientific investigation, equipment and methodology does enable greater insight into the practical mechanism, integration, interplay, properties, components and chemistry of organic and inorganic matter, of the world around us and of the physical body, its healthy function, of viruses, germs, disease, reaffirming the significance of diet and lifestyle in terms of wellness and wellbeing and the supportive value of many ancient healing systems, such as, among others, acupuncture, herbalism, essential oils. The body is a territory which when appropriately nurtured and nourished (food, shelter, warmth, exercise, psycho-emotional attitude and community) is more resilient to attack or invasion, and in harmony (internal and external homeostasis). Holistic health and wellbeing emerges to the foreground; the mind-body-spirit connection is acknowledged as significant. Bridging the pragmatic, nature-al and ethereal dynamics of life and existence, essential oils continue to be used for their protective (anti-microbial, anti-viral), restorative, rehabilitative, healing and hedonistic qualities, seamlessly providing physiological and psycho-emotional-spiritual support.